Whether or not you have already enjoyed Pasta ai Caviale along on the Italian Riviera, you’ll find that the dish will bring a little warmth to a mid-winter evening anywhere. Though light enough for a late-night summer supper, at this time of year it’s a favorite pasta course in a more substantial meal. Ligurians typically use black lumpfish caviar. For Valentine’s Day, we find the reddish-pink of salmon roe to be a more festive, and equally affordable, touch. 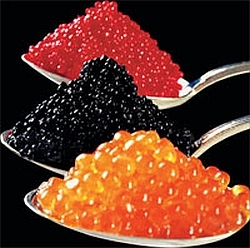 The translucent orange beads of trout roe and Japanese tobiko (flying fish roe) are comparably priced. They, too, impart a bright, briny flavor and pleasant crunch. A well-chilled Verdicchio, Prosecco, or Portuguese vinho verde would complement the dish and still leave you enough cash for fresh flowers. Heat a large sauté pan over medium heat, then add the butter. When the butter has foamed and the foam begins to subside, add the scallions and a few grinds of pepper. Sauté until the scallions are wilted, about one minute. Add the mascarpone or sour cream and reduce heat. Simmer for a minute or two. When the water comes to the boil, add the pasta. As the pasta cooks, simmer the sauce for another minute, then remove from the heat. Stir in the parsley and set the sauce aside until the pasta finishes cooking. When the pasta has reached the al dente state, drain in a colander, reserving approximately one cup of the cooking water. Add the drained pasta to the sauce and toss gently to combine. If the sauce seems too thick, add some of the cooking water, 1/4 cup at a time. 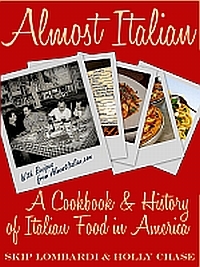 Divide pasta and sauce equally among four plates. Let the pasta cool for one minute on the plates before garnishing with the caviar. 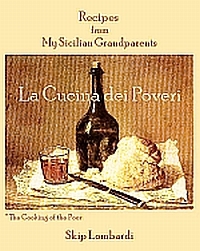 (If the pasta is too hot, it will “cook” the roe). Top each portion with a tablespoon or two of the caviar. Garnish each plate with a lemon wedge and a parsley sprig. Let each diner squeeze on his own lemon juice, to taste.